Winner of the “Green Dragons Den” competition launched by the RIBA and developer Argent for reCulture. Judges included Amanda Bailieu, editor of Building Design; Cany Ash, architect; Andre Gibbs, Argent; and Roger Zogolovitch, architect and developer of Solid Space Developments Ltd . Architect of the Year finalist in the BD Regeneration awards. Category Winner of the Midlothian Council Award for Good Design for Greenore. 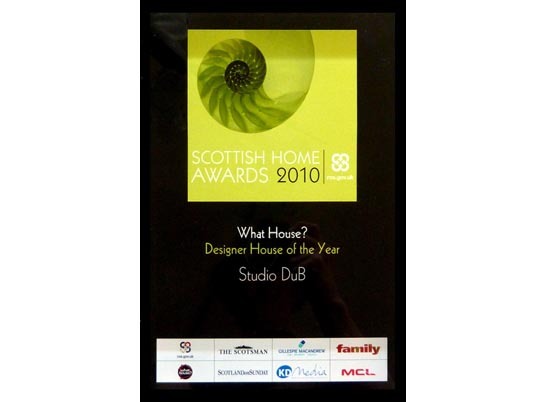 Leith Lofts commended at the Scottish Design Awards. Leith Lofts shortlisted for a Regeneration Scotland Award.